We can help you find the right person. 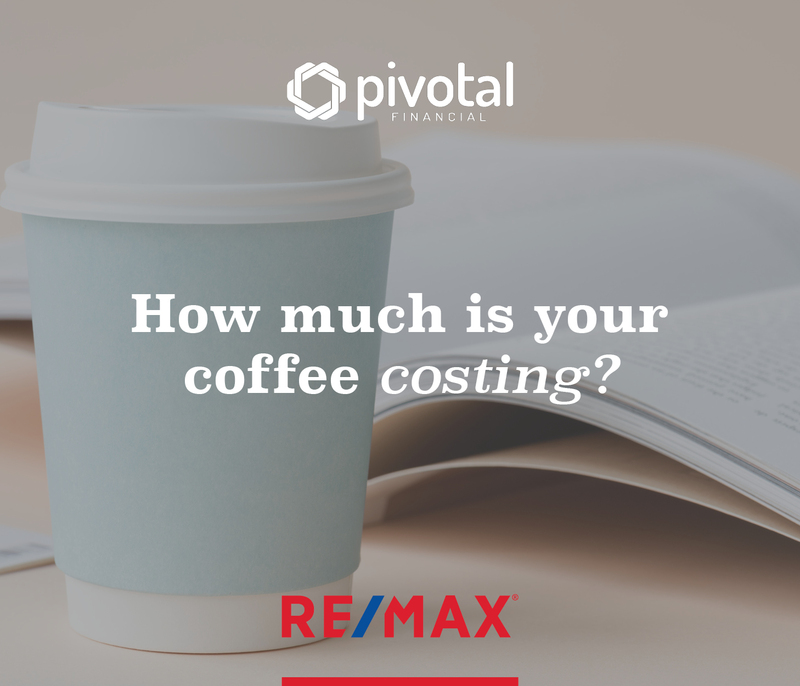 HOW MUCH DOES A COFFEE COST? The answer is that it could be $10,000 or even more. Really! you exclaim – how did you arrive at that number? Simple really, you see most of us will buy several cups of coffee from the cafe each week. If we reduced that input by as little as 1 cup a week and instead paid an extra $5 a week off our mortgage most of us would be saving $10,000 (maybe more) in mortgage interest over the term of our loan. Now I’m not advocating that everyone stop drinking coffee, far be me to tell you what you should or shouldn’t spend your money on, and I like my coffee as much as the next person. I am suggesting however that we should make a more conscious effort to manage our money. When was the last time you got a Mortgage Adviser to give your finances a health check. Maybe it is time for you to call Pivotal Financial, who knows what we might find to help you. © 2017 RE/MAX Australia. All Rights Reserved.